Who lines a mine with iron spikes, anyway? Gwyl's Great Escape has an interesting and fairly unique control scheme; in place of your mouse cursor is a small Petpetpet known as a Lightmite, which will flap its wings when you hold down the left mouse button. As Gwyl is suspended from a balloon, you can use the air gusts created by the Lightmite's wings to move him around. How much the balloon moves depends on how close the Petpetpet is to it: being close to the balloon pushes it more, while being farther away pushes it less. If you need to move downward through a narrow gap, it's easiest to position Gwyl above it, then let gravity pull him down. Look, you work with what's available to you, okay? 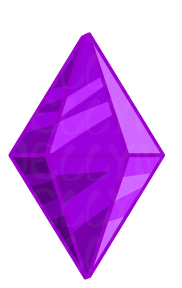 The goal of the game is to collect all of the gems scattered about a level, which will activate the Meowclops statue that serves as an exit point. 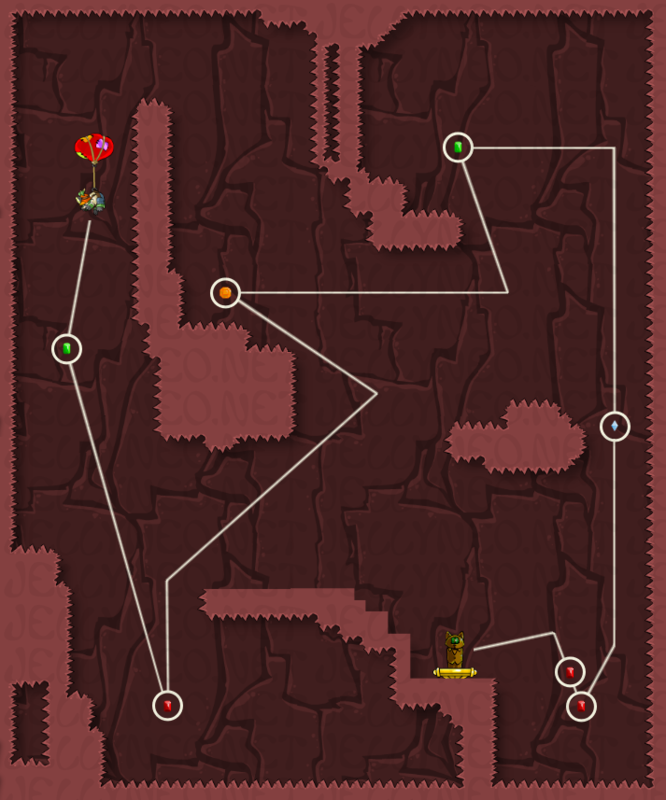 A time bonus is awarded for reaching the statue quickly, but don't be too hasty; the levels' walls are lined with spikes, which will drain Gwyl's health bar if he or his balloon touches them. As Gwyl has only two lives and the game contains no power-ups to restore health, you must find a balance between speed and precision when navigating the large, spiky caverns. Gwyl and his balloon can make contact with spikes fifteen times before the health bar is empty, meaning that through the course of a single game you can only take thirty hits before reaching a Game Over. On the bright side, contact with spikes will give you three seconds of invulnerability, which should be plenty of time to pull away. When trying for a high score, we recommend that you take note of the passwords you're given upon beating a level; using these from the "continue game" screen will allow you to replay the levels, and practice your route through them. 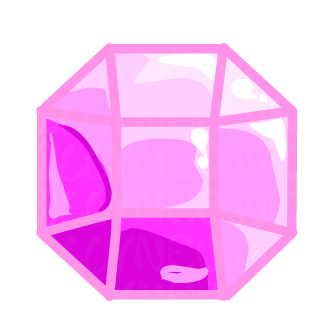 Each of the six different colors of gem found in the game is worth a different number of points, ranging from 2 points for a pink gem to 20 points for blue. Including the secret stage (see the Level Maps section below), you can collect 90 gems throughout the course of the game, for a total of 675 points. In order to qualify for a high score, however, you will need to move quickly. You are given approximately two minutes to complete each level, with every second under the two minute mark being converted to bonus point upon reaching the end of the level. The exception to this is the final two levels: you are given three minutes to complete Snowy Mountain I, and four minutes for Snowy Mountain II. To receive the highest score possible, you should try for a time bonus of at least 50 points on the majority of levels. The distance between the Lightmight and Gwyl's balloon affects how quickly Gwyl moves. Take note of the passwords you're given after each level, as they're unique to each user. 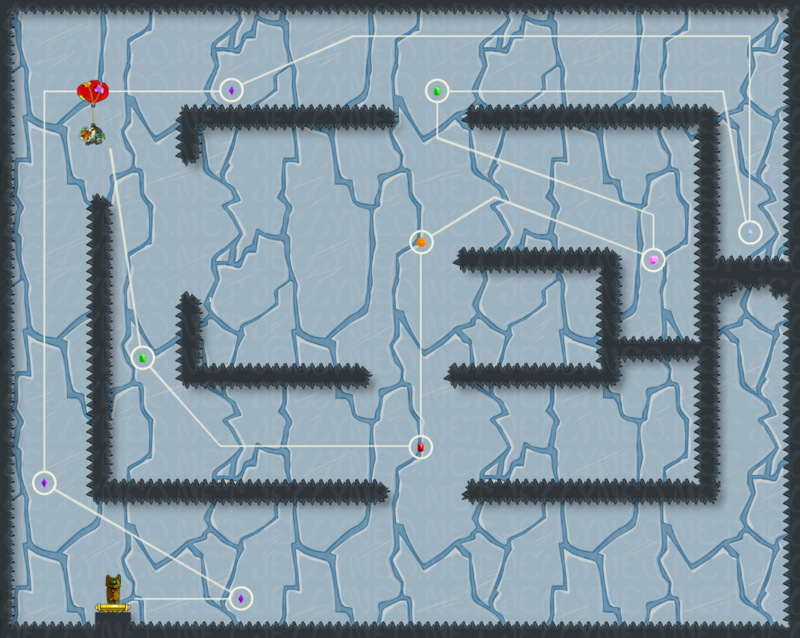 Enter the password gwylsgreatestescapeever on the 'continue game' screen to access the secret level. 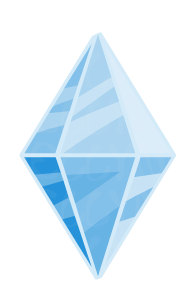 Try to collect all the gems and reach the end of the level as quickly as possible for a high time bonus. If you're confident in your skills, use up your extra life in Catacombs III for a higher time bonus. 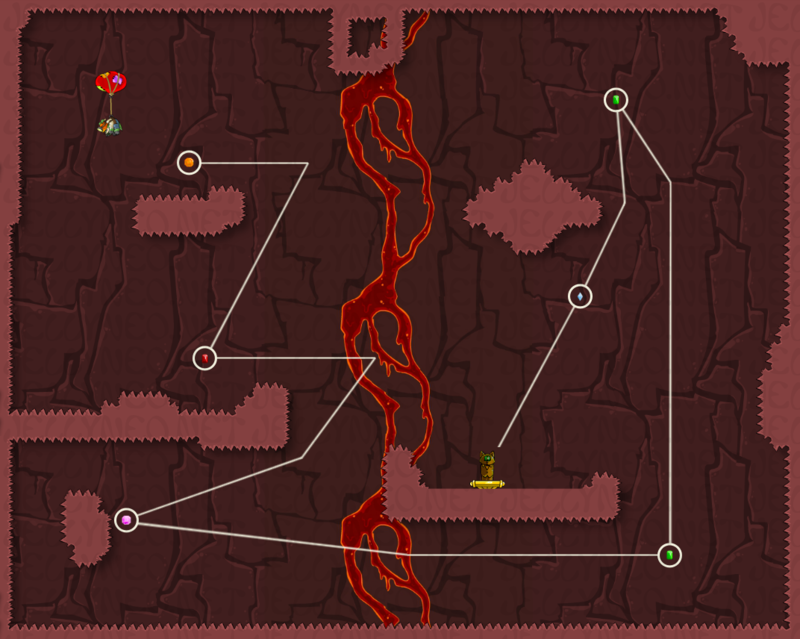 These maps are designed to take you through the game's levels as quickly and efficiently as possible. To use them, click on the blue arrows to view the next or previous level, or select a level from the drop-down menu. ????? 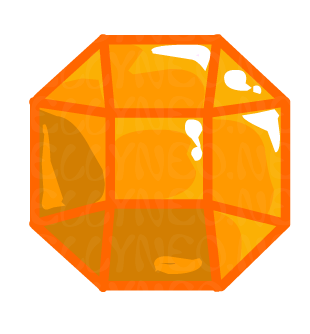 (Secret Level)Containing 21 gems, this secret level is a great way to gain points quickly, and is essential to getting a high score. It can be accessed by entering the code gwylsgreatestescapeever on the 'continue game' screen, accessed from the main menu. Once you reach the exit, you will be taken to Catacombs I.
Catacombs ICatacombs I is a very simple introduction to the game, with just 7 gems in a wide-open room. 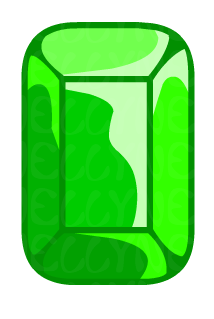 Due to the layout of the gems, it's fairly easy to get a high time bonus. Catacombs IICatacombs II is a bit more complicated, but if you're careful when collecting the blue gem you shouldn't have any trouble. 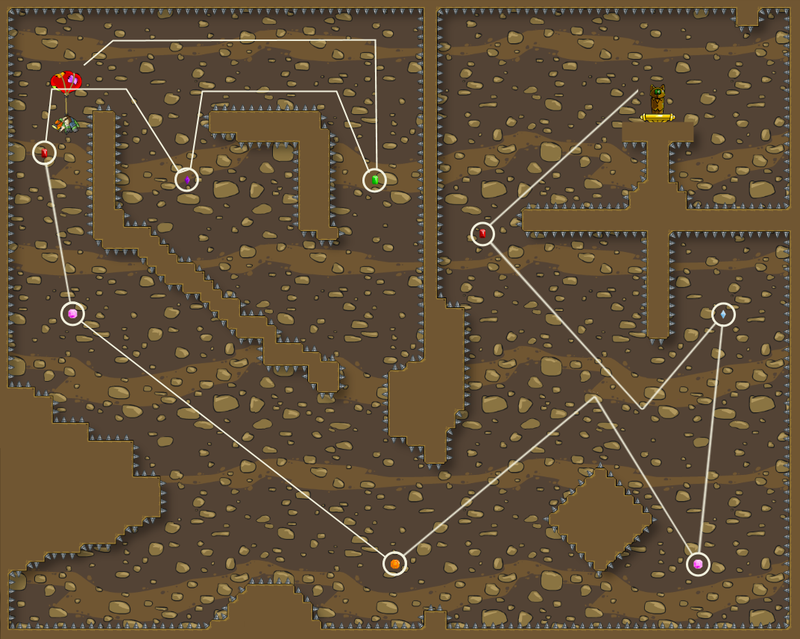 If you miss any of the purple gems in the downward-pointing arrow, collect them while you're still in the area; it's usually faster than collecting them on the way back up. Catacombs IIICatacombs III is a straight vertical shaft, with the exit near the starting point. 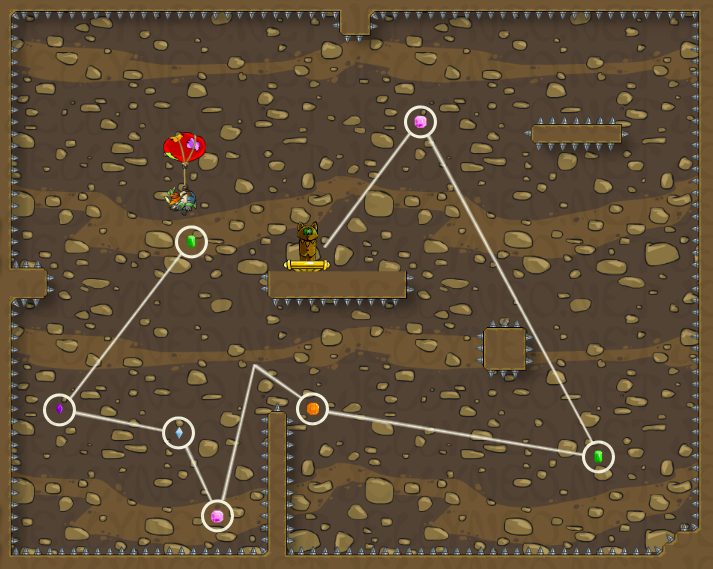 It's very difficult to navigate without taking damage, so you'll want to move slowly going through it. 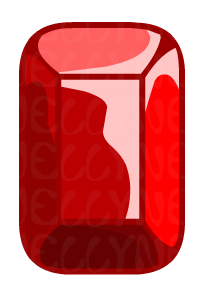 A popular strategy is to let Gwyl's health bar run out after collecting the last gem. While it will cost you one of only two lives you're given to finish the game with, it will also instantly put you back at the start of the level, saving time in getting to the exit. For the record, we don't condone intentionally hurting poor little Symols. Catacombs IVCatacombs IV is much larger and more difficult than the previous levels, with a particularly tight squeeze below the green gem. Remember to hold the Lightmite well away from Gwyl while going through this area, and using short bursts of wind to move him. 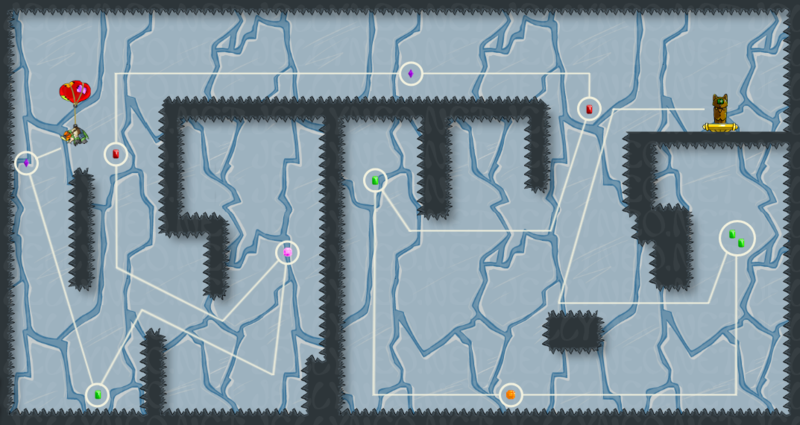 You may want to take note of the code for this level, so that you can practice moving through this challenging area. Lava Caves IWhile Lava Caves I may sound foreboding, the only lava found here is in the background, and won't hurt you. Much like Catacombs I, it's a large, open room, with only 6 gems to collect. Lava Caves IILava Caves II is fairly straightforward, and shouldn't be any trouble once you've gotten used to the game's controls. Lava Caves IIILava Caves III is similar to Catacombs III, starting you next to the exit. The difference here is that there are only five gems, and you shouldn't be in any danger of running into the spiked walls. Bear in mind that unlike Catacombs III, you shouldn't even think about letting Gwyl's health run out here; it's very easy to return to the exit, and if you already used the trick before, you won't have any lives to spare. Snowy Mountain ISnowy Mountain I is a large stage, with several gems placed in spike-lined 'rooms'. At times you will have to move diagonally between rows of spikes; take these slowly, and remember where you need to go for the next gem. Snowy Mountain IISnowy Mountain II is the final level of the game, and is by far the largest and most difficult. 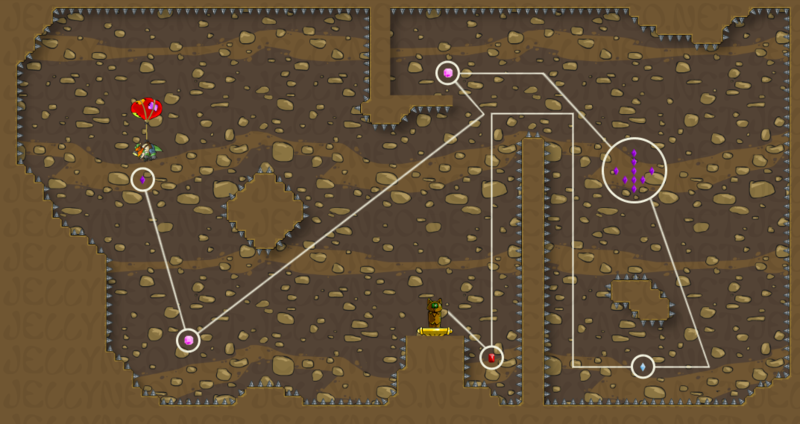 With several wide-open paths that look largely the same, it's easy to become lost if you haven't memorized the layout. Due to the imprecise nature of the game's controls, Gwyl will sometimes pass through platforms or the Meowclops statue, preventing you from completing the level. Hovering on the Meowclops statue will usually fix this, but if the problem persists, taking damage seems to help as well. In a worst-case scenario, you may need to lose a life or restart the game. Playing with the game quality set to low may also fix the issue. The sections of background containing lava in the Lava Caves levels are a different color than the rest of the background, and the cracks in the rock are missing the highlights seen elsewhere. This seems to be an oversight on the part of the game's artist, and has no impact on gameplay. Similarly, the background section containing lava in Lava Caves III is mis-aligned with the rest of the background, making it stand out quite a bit.